We had a great turn out with a mix of current and future clients. Thank you for the support to all our great partners and friends. 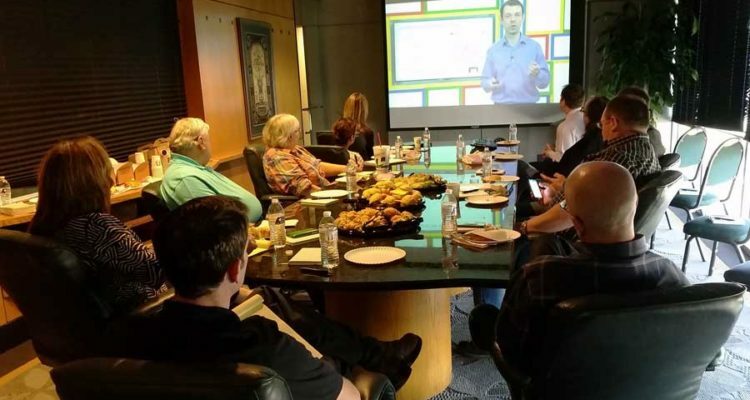 This was our first Google Partners Connect and Marketing Seminar. We will certainly be hosting more seminars and the next Google Partners Event! It will be open to invitees and anyone interested in learning about how we approach marketing. Follow our Google+, Facebook & Twitter to signup for our next seminar when we post the dates. Thank you to Texas Public Radio, TASCO Air Conditioning, The Whittington Group, Guida & Associates, The Law Office of J.H. Leibowitz and Rhino Energy Solutions! Check out the Starbucks coffee and pastries courtesy of Google, the Chromecast we stuck under a seat as a door prize, and the cool sandwich trays from HEB. This was really fun to put on and everyone had a great time.